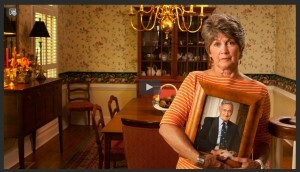 The nursing home neglect lawyers at Brown Chiari LLP handle more nursing home negligence cases than any other law firm in New York State and have obtained the highest verdict in upstate New York on behalf of an injured nursing home resident ($1,500,000.00 in New York State Supreme Court on July 21, 2004). The New York community has come to rely on Brown Chiari LLP as the premier nursing home neglect law firm. Contact us today for a Free Evaluation. Family members often place their trust and confidence in a nursing home to care for an elderly relative. All too often, nursing homes place their drive for profits above the needs and rights of residents. State and Federal law provides “Residents’ Rights,” which are typically those rights or guarantees given to nursing home residents. Most cases against nursing homes stem from the facility’s failure to provide appropriate health care and protective and supportive services. These violations often result in serious physical injury and can contribute to an undignified existence for the elderly resident. 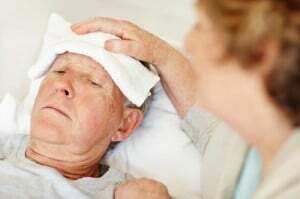 In some cases, the resident may actually suffer no physical injury at all, but because of the violations, the resident is deprived of general well-being and his or her right to a dignified existence while residing in the nursing home. 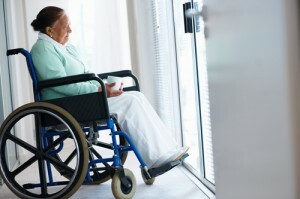 Although falls sometimes happen in nursing homes, oftentimes the facility fails to perform appropriate assessments of the resident to determine the risk of falling and fails to take appropriate steps to prevent further falls. Sometimes, because of the frail condition of a nursing home resident, such falls can lead to serious injuries requiring life-threatening surgeries or can further diminish the resident’s quality of life. Other common problems are wandering, choking, bed sores, and urinary tract infections. Our elderly are entitled to a dignified existence. When a loved one is placed in a nursing home, he or she should expect the care that is paid for, and deserve the degree of care that is appropriate for the well-being and dignity of the resident. When a family member is mis-treated, you need to immediately seek the advice of a talented New York nursing home abuse attorney. The New York State Department of Health Nursing Home Complaint hotline is 1-888-201-4563 and can be called 24 hours a day, 7 days a week. For more information, go to http://www.nyhealth.gov. Handling cases across New York, New York City, Buffalo, Rochester, Syracuse, Albany and all other NY cities. View our recent settlements and verdicts.